Q: What is the pace of the group? A: We welcome runners at all different paces! Often our runs spread out from 7-12 minutes per mile. Everyone can find someone at their pace to run with. It is not competitive, the emphasis is on making it back to the bar after the run! Sometimes runners shorten or extend the route to suit their level, which is fine. Many members have improved their distance or speed as a result of attending the group. Q: Is there somewhere to store my stuff during the run? A: No, the group does not provide storage. The organizer is running like everyone else so cannot store anything. This question was asked so often that a joke developed that if you ask it, then you owe the organizer a beer. Sometimes a bar can accommodate you with a limited amount of non-secure storage. We recommend bringing only your ID and beer money in your pocket. Q: Do I need to RSVP and why do you check in/count people? A: Yes, having an accurate/reliable RSVP turnout is a big part of the group's success! It supports the high level of familiarity that has distinguished the group since its smaller beginnings while also keeping it accessible for all. Plus we need to give bars headcounts (the record is 130) to make our events possible. As a bonus, Meetup will tally the runs that you attend so you earn your way to the Fun Run Century Club! No-shows dampen the experience of others who attend, especially newcomers, anticipating a certain group size. Non-RSVP show-ups seem creepy and stalker-ish, and cause problems for coordinating with bars. Therefore repeat offenders have to be removed, which is always a bummer. When plans change, you can always change your RSVP on the website or app--it takes only a second and we appreciate it! Q: How far do you run? A: About 4 miles on Wednesdays. The exact distance is included on the posted map of each run. Q: Where does the run start? A: At the bar (outside) at 7pm. It also finishes at that same bar (inside). Q: Do you run first or drink first? Q: Some people seem to have maps of the route. How do I get one? A: A limited number of maps are usually provided as a courtesy, so be one of the first ~25 to arrive. Or bring your own, the map is always posted in printable format. Q: Do you call the bar in advance to request discounts? A: We at least give them advance warning that a large group is coming, based on the RSVP count. If there's a discount, we'll let you know. That's not really the focus of this group. A: No. Take the bus and drink up. Q: I'm late, can you wait for me to start the run? A: No. Follow the chalk arrows. Q: Can the run be in my neighborhood every week? A: No. One of the defining characteristics of SF Fun Run is always discovering different bars and neighborhoods. You already know your own neighborhood. Q: I can't make Wednesdays. Can the run be a different night? A: No. SF Fun Run meets every Wednesday night, plus occasional weekend runs. If that doesn't work for you, there are many running groups in SF meeting every day of the week. Q: Can I skip the run and just come to the bar? A: Short answer: No. Long answer: Join the run for at least your first several meetups--the shared experience of the run serves as a natural icebreaker. After that, if you have an injury or occasional conflict, we'd still love to see you at the bar. If you never make the 7pm run, then this isn't the right group for you; again, there are many other running and/or social groups throughout the week. Q: Can you promote our 5K race to the group members? It's a fundraiser for a great cause. Q: I think it would be great to have X event. Can the group set it up? A: No. The organizer of your running group is not the organizer of your life. Q: I think it would be great to have X event. Can I set it up? A: Yes! You can claim an open week (calendar.sffunrun.com) to lead a Wednesday run, or get in touch to schedule another event. Q: Can I suggest a bar for a future run? A: Yes! Please do. Make sure it's spacious enough for 60+ runners and send your suggestion through Meetup or email info@sffunrun.com. Q: Where is next week's run? A: It is already posted on our website: calendar.sffunrun.com. Q: When are we going to the bar I suggested? A: You can lead a run there any open week (calendar.sffunrun.com). Otherwise figure at least a few months later. If it has a big enough capacity and layout, stays open late, and is in an accessible neighborhood, we'll get there eventually! Q: A lot of people seem to already know each other. What do you suggest for newcomers to break into the group? A: RSVP with a recognizable photo. Arrive a few minutes early and introduce yourself. 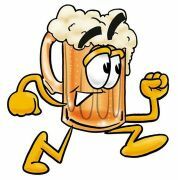 And definitely stick around for drinks after the run and come back next week! Q: How much does all of this cost? A: Attending Fun Runs is free with RSVP! If you'd like to help out with expenses (thanks! ), you can contribute any amount at www.sffunrun.com/contribute. It will be added to the group's balance, which you can check at www.sffunrun.com/money. Q: How long has the group been running? A: The first SF Fun Run was on June 30, 2010. Since then it has grown to six cities from coast to coast! It's pretty straightforward. We're a group of people that like to RUN and have fun! Every Wednesday we meet at a different local bar throughout San Francisco, go for a run, and finish back at the bar to cool down and socialize over drinks. If you're in your 21-30s (or just think you can hang) with a fun and outgoing personality looking to meet new people, then come join us! All running paces are welcome! Everyone from beginners to speedsters can find someone at their pace to run with. It is not competitive, the emphasis is on making it back to the bar after the run! Sometimes runners take shortcuts which is fine. Many members have improved their distance or speed as a result of attending the group. Whether you are new to San Francisco, or just want to escape the humdrum of everyday life, these Wednesday runs are a great way to unplug. View our FAQ and Calendar. The Calendar includes upcoming routes that you can download to MapMyRun. You can also join our Strava group. And check out our sister groups, Fun Run is in six cities from coast to coast! Thanks for understanding that we cannot promote your 5K race even when it's a fundraiser for a great cause.